For one night only, the three-time Tony award winning composer, conductor and pianist Jason Robert Brown presented a spectacular concert, filled with songs from some of his biggest musical hits, as well as one or two lesser known surprises. Joined by the BBC Concert Orchestra, and acclaimed stage stars Rachel Tucker, Betsy Wolfe and Norm Lewis, An Evening With Jason Robert Brown was a truly extraordinary evening. Brown opened the show with a song from a musical he has yet to write, about a teen living in New York in the 70s, who dreams of being a musician. The song, a jaunty number named Melinda, had the audience's toes tapping, and gave Brown a chance to showcase not only his own characteristic vocals and supreme musicianship, but the virtuosity of the entire BBC Concert Orchestra, which bolstered the bubbly opening number wonderfully. Over the course of two and a half hours (and then some), the audience was treated to a whistle stop tour of Jason Robert Brown's career, which stretches back more than 30 years. Of course he may be best known for the seminal two hander musical The Last 5 Years, but lesser known numbers, and those from musicals which have yet to be performed in the UK, were a welcome treat, and gave the event a rather exclusive and intimate feel, despite taking place on the imposing London Palladium stage. West End favourite Rachel Tucker, who Jason Robert Brown described as "The Real Thing" having first seen her in The Last Ship on Broadway, treated the audience to a bittersweet rendition of Stars and the Moon, from the well loved song cycle Songs For A New World, and brought the house down with a disco infused number called Invisible. Brown recalled a few fascinating anecdotes about his career as the night progressed, including the story of how Invisible was written during a project at the Ronald Macdonald House, a place which provides temporary housing and support for paediatric cancer patients and their families. The story was a touching one, and the song's empowering message resonated even more deeply as a result. A particular standout moment of the concert came when Norm Lewis and Betsy Wolfe dueted on One Second and A Million Miles, a heart achingly beautiful number from The Bridges of Madison County. Wolfe's refined soprano blended gorgeously with Lewis' mellow and emotive tones, creating a swelling sound which perfectly suited the gorgeous romantic song, tinged with sadness. Accompanied by a full orchestra, One Second and A Million Miles could easily have been the standout performance of the night, if it wasn't for Betsy Wolfe's second act showstopper; I Can Do Better Than That from The Last 5 Years. 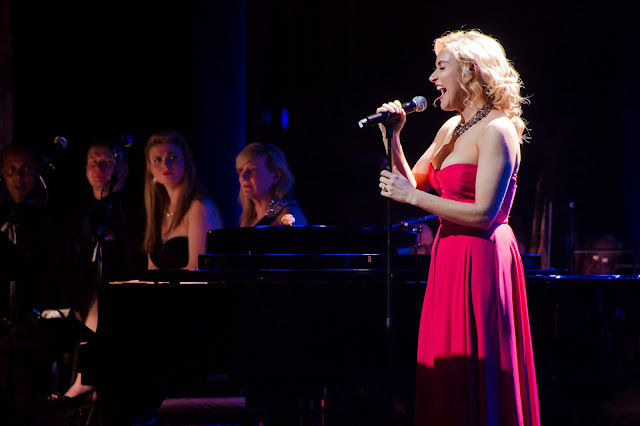 Wolfe played the role of Cathy Hyatt in a 2013 Off-Broadway production of The Last 5 Years, which was subsequently immortalised in cast album form. Wolfe's belt was incredibly powerful, and her knack for storytelling through song shone through as she laid Cathy's woes bare. Jason Robert Brown got it right when he introduced Wolfe as "radiant". She truly glimmered on stage. 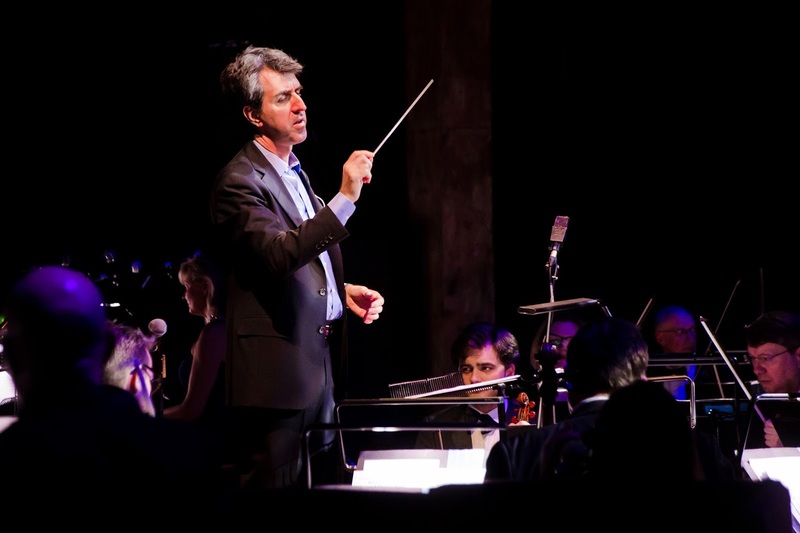 As a the host of the evening, as well as conductor, pianist and vocalist (although not necessarily all at the same time), Jason Robert Brown easily proved himself worthy of gracing the famous London Palladium stage. With an infectious nervous energy, he drew in the audience with a myriad of fascinating stories and a generous outpouring of excellent musical performances. His solo I Love Betsy, the opening number from the rather zany Honeymoon in Vegas, was surprisingly sumptuous, and cast a bright spotlight on the masterly Brown as a performer as well as a writer. Of course, with so many excellent musicals to Jason Robert Brown's name, there were always going to be a few popular songs which were not included. It would've been nice to hear more from The Last 5 Years, and the opening number from Songs For A New World would've undoubtedly sounded amazing with such a strong quartet of vocalists and such powerful accompaniment, but the set list was packed with a great mix of numbers, and so a couple of popular omissions were understandable. It's a shame that several of Jason Robert Brown's musicals have yet to make it over to the UK, but An Evening With Jason Robert Brown provided a glimpse into his splendid songs and scores, and presented a great selection of numbers which had the majority of the audience jumping to their feet in rapture. Those who were not in attendance will be happy to hear that the concert will feature on BBC Radio 2's Friday Night is Music Night, but any similar events in the future should not be missed.